CFP Cultural Discourse Studies Series, Routledge. Series editor: Shi-Xu, Zhejiang University, China. A cultural-innovation-seeking platform in discourse and communication studies, the Cultural Discourse Studies Series aims to deconstruct ethnocentrism in the discipline, develop culturally conscious and critical approaches to human discourses, and facilitate multicultural dialogue and debate in favour of research creativity. Ultimately, it is designed to contribute to human cultural coexistence, harmony and prosperity. NOTE: Shi-xu is also Editor-in-Chief of the Journal of Multicultural Discourses at Routledge. Senior Lecturer/Associate Professor/Professor in International Studies, Zhejiang University – College of Humanities and Social Science. Deadline: June 20, 2018. The newly launched “One-hundred Talents Program” is aimed at attracting outstanding scholars both at home and abroad. To those recruited via this program, the university is to adopt an international academic standard and procedure — the tenure track system. The university plans to recruit roughly 100 distinguished scholars from both China and abroad by the “One-hundred Talents Program”. Ample funds are available for this program to ensure that scholars have a favorable academic environment and optimum working and living conditions so that they can be dedicated to academic research and the advancement of their fields. Senior Lecturer / Associate Professor / Professor in International Studies, College of Humanities and Social Science, Zhejiang University, China. Deadline: 20 May 2018. The newly launched “One-hundred Talents Program” is aimed at attracting outstanding scholars both at home and abroad. To those recruited via this program, the university is to adopt an international academic standard and procedure — the tenure track system. The university plans to recruit roughly 50 distinguished scholars from both China and abroad by the “One-hundred Talents Program”. Ample funds are available for this program to ensure that scholars have a favourable academic environment and optimum working and living conditions so that they can be dedicated to academic research and the advancement of their fields. The newly launched “One-hundred Talents Program” is aimed at attracting outstanding scholars both at home and abroad. To those recruited via this program, the university is to adopt an international academic standard and procedure – the tenure track system. The university plans to recruit roughly 50 distinguished scholars from both China and abroad by the “One-hundred Talents Program”. Ample funds are available for this program to ensure that scholars have a favourable academic environment and optimum working and living conditions so that they can be dedicated to academic research and the advancement of their fields. Zhejiang University “Hundred Talents Program”(Humanities and Social Science) includes “Type A” and “Type B”. • Type A: The applicant should hold associate professorship or assistant professorship in a prominent international university, and have a certain influence in national and international academia with active thoughts. He/She should have the ability to make certain influential achievements in some fields. • Type B: The applicant should be the outstanding scholar with excellent academic training. Principally, he/she should hold a doctoral degree or accomplish postdoctoral research of a renowned university or renowned discipline. He/She should have certain innovative research achievements with active thoughts as well as a great developing potential. • The applicant is expected to be a proactive learner and work full-time at ZJU. 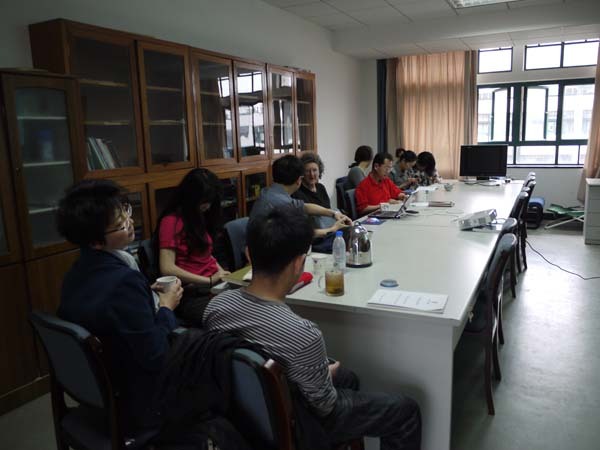 Zhejiang University focuses on assiduous study and research, and science and technological innovation. It has launched a number of international high-end academic platforms and gathered masters, scholars and high-level research teams in various disciplines. In recent years, Zhejiang University maintains a leading position in China in output indicators including publications, patents and etc., and has made abundant important achievements in science, technology, humanities and social sciences. Zhejiang University always takes initiative in catering for national and regional needs, and exerts itself to become an influential high-level source of innovation and a pool of talents. In 2015, research fund at Zhejiang University amounted to 3,316 million yuan. For application, please provide a detailed resume, certificates of academic degrees, innovative research achievements and samples of major publications. These documents may be sent by email to the contact person listed above. For further questions, you can email Central Human Resources. 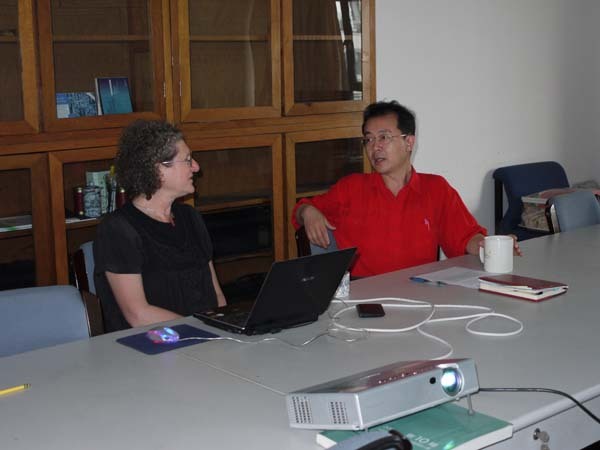 On April 27, 2011 I presented a talk entitled “Holding intercultural, international, interdisciplinary dialogues” at Zhejiang University, in Hangzhou, China. While there, I had the chance to meet not only Prof SHI Xu, Changjiang Distinguished Professor and Director of the Centre for Contemporary Chinese Discourse Studies, and several of his graduate students, but also Prof WU Zongjie, Director of the Institute of Cross-Cultural Studies, and several of his graduate students. My thanks to Shi Xu for organizing the talk, and especially for the chance to have dinner with his family, and try a steamboat dinner. Thanks also to his student Sarah for showing us around Hangzhou. The city is just beautiful, and it was nice to have a little time to explore, especially the West Lake area. Thanks also to HAN Chunyan, the graduate student who arranged her schedule to take the train back to Shanghai with us, and then suggested we visit Suzhou the next day to see the classical garden there, and helped us buy train tickets.